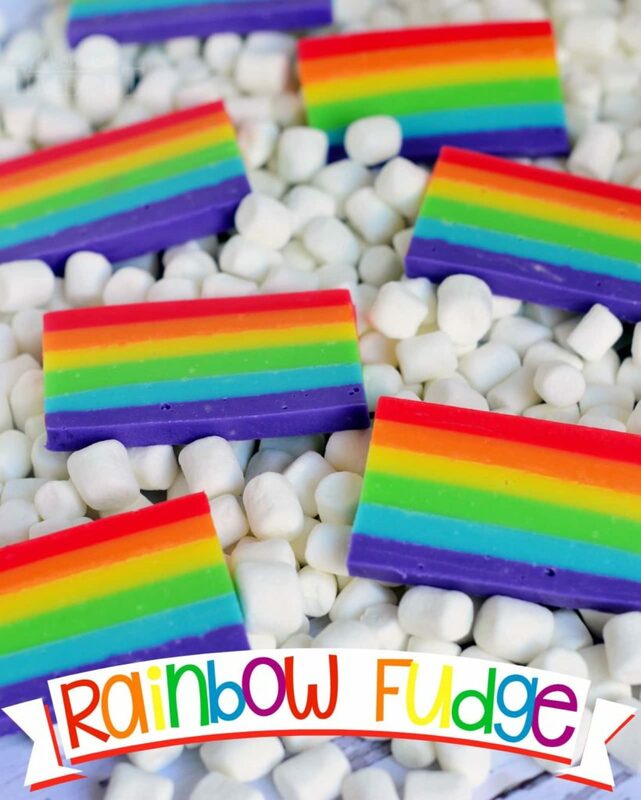 If you are planning a party these 9 rainbow party foods will be the perfect addition to your food table. Rainbow food makes a great addition to almost all party themes. After all what kid (or adult) doesn’t love some bright rainbow fun! 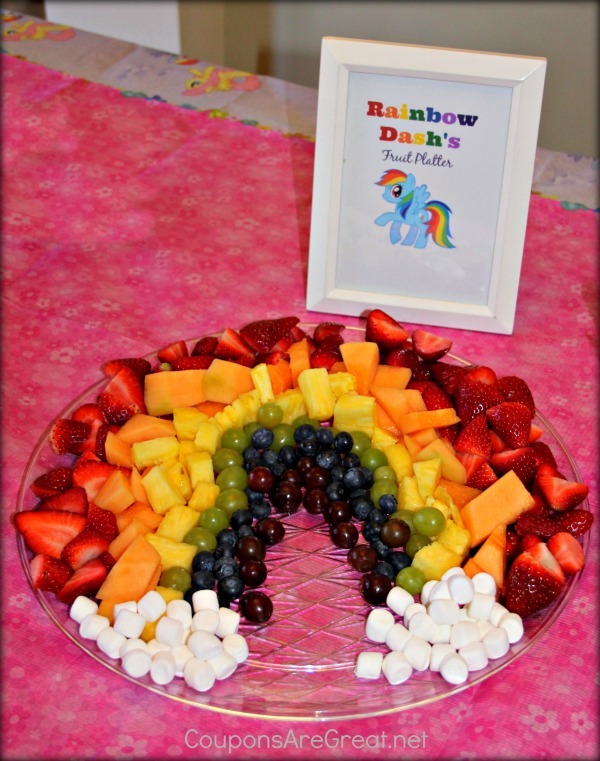 Or having a rainbow themed party looks fantastic and provides almost endless decorating and food options. Our youngest daughter is about to celebrate her 3rd birthday and is My Little Pony mad. We are keeping it simple this year but will be including plenty of rainbow food. Really adding sprinkles to food is pretty simple! 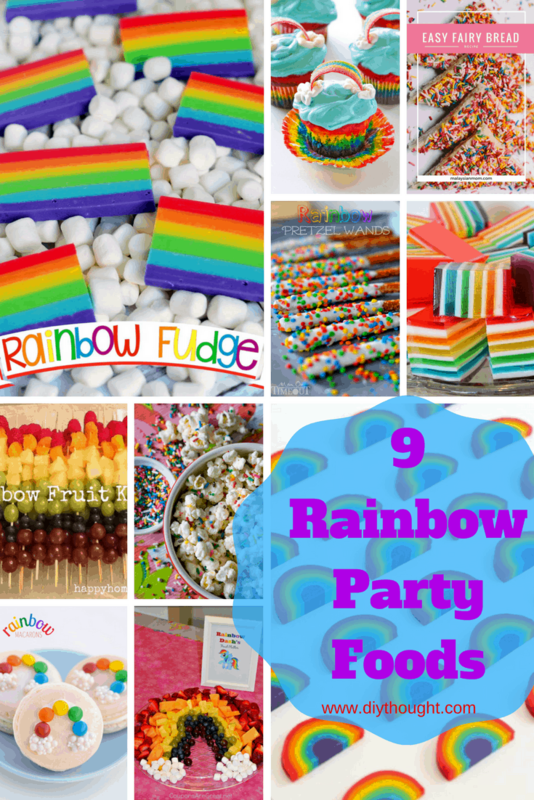 We have taken inspiration from the following 9 rainbow party foods because they are quick and easy to make and will delight Miss little pony! 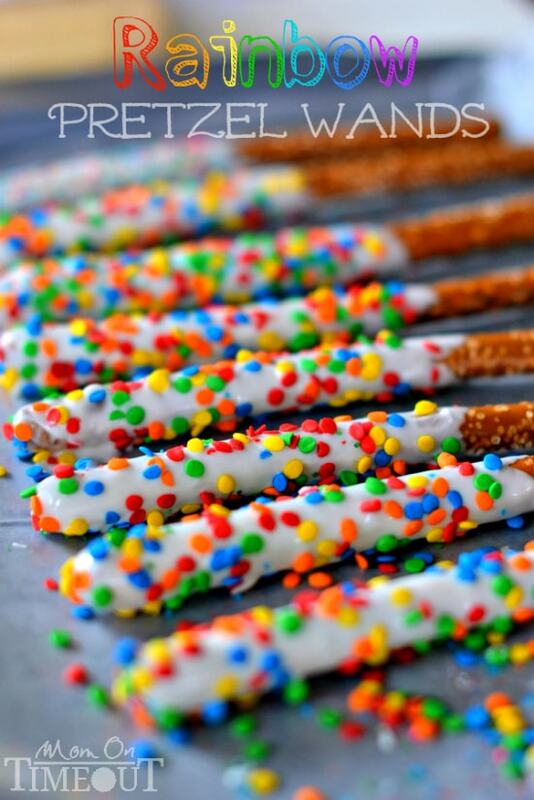 Pretzels, candy coating, and sprinkles, it’s that easy! Having a blue party, simple, use blue sprinkles. This party food looks great and is adaptable to all party themes. Find the recipe here. 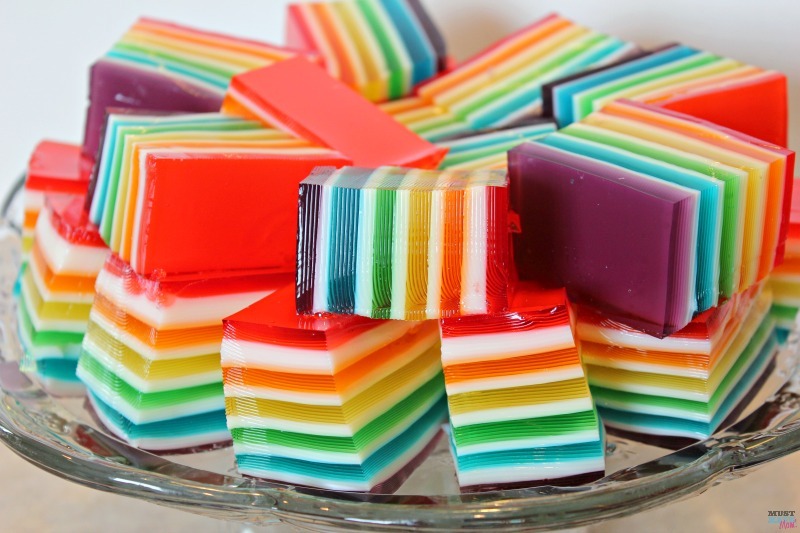 Rainbow jello cubes look impressive and are really easy to make. Easy but time-consuming! Definitely, make this one the day before party day. Find the recipe here. 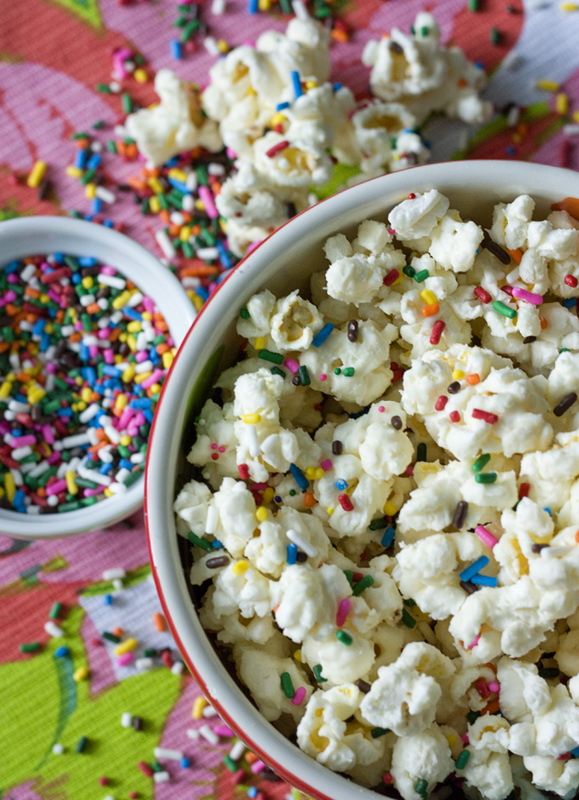 Popcorn is always popular at a party so this funfetti cake batter popcorn is certain to be a hit! Find out more by clicking here. Simple to make but time-consuming and sure to impress guests! This is another fantastic recipe found over on Mom On Time Out. We love this fruit rainbow, complete with marshmallow clouds. For an alternative to fruit try making a vegetable rainbow or do a combination of both! Source here. 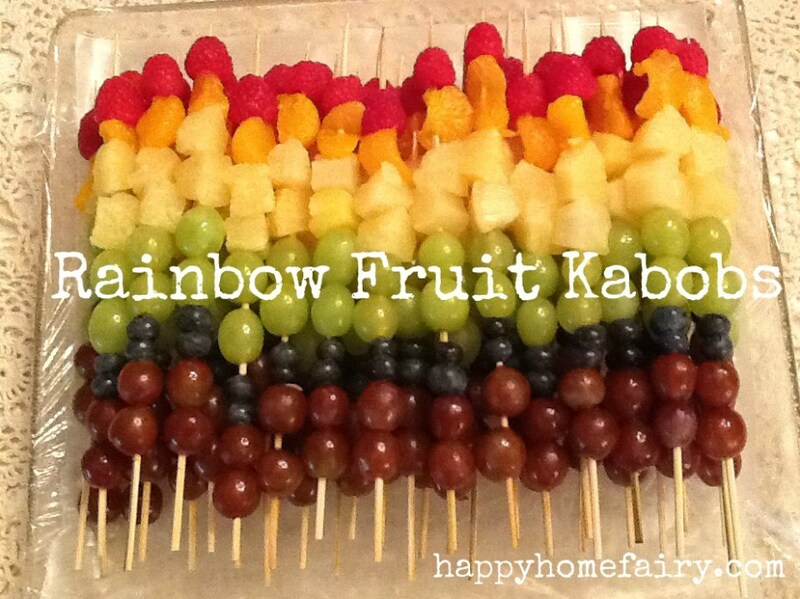 Fruit kabobs are a great alternative to the fruit rainbow and kids can even help to make them. This is an easy and portable fruit option. Click here to find out more. 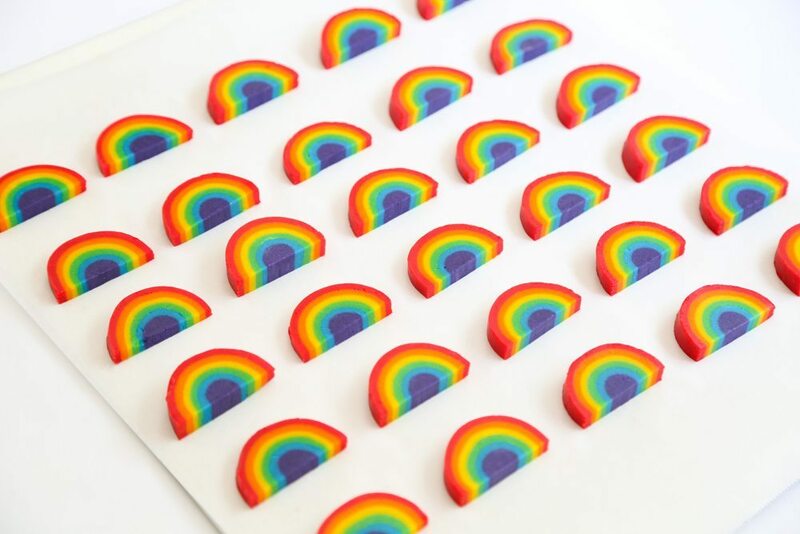 A colored shortbread recipe and a bit of rolling create these little rainbow delights. Click here to get the recipe. 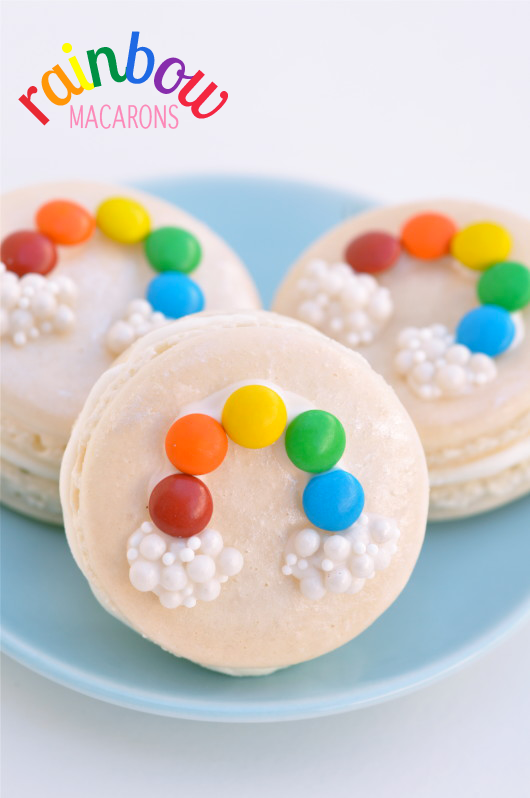 These rainbow macarons are beyond adorable. This simple decorating idea can be used to decorate all other sorts of cookies and slices or even cupcakes! Follow this link to find out more. 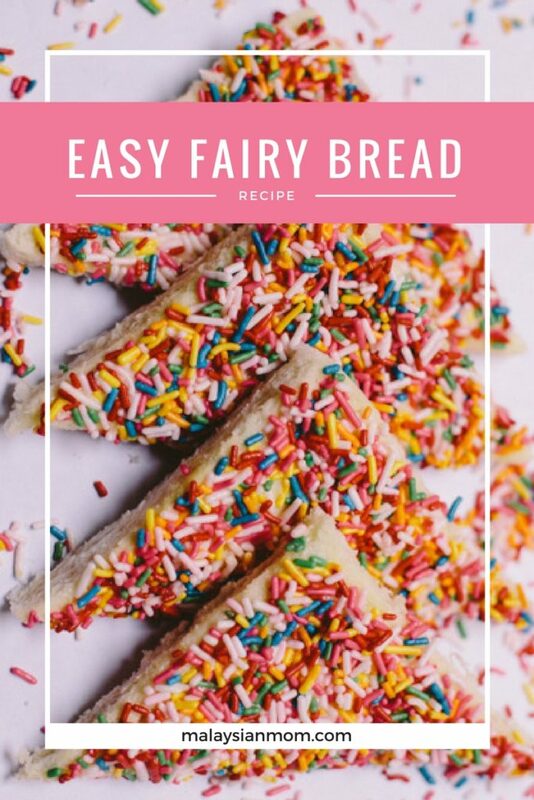 Fairy bread is a party must have in Australia and New Zealand. This is one of the quickest party foods to make and is always popular. Click here to find out more. 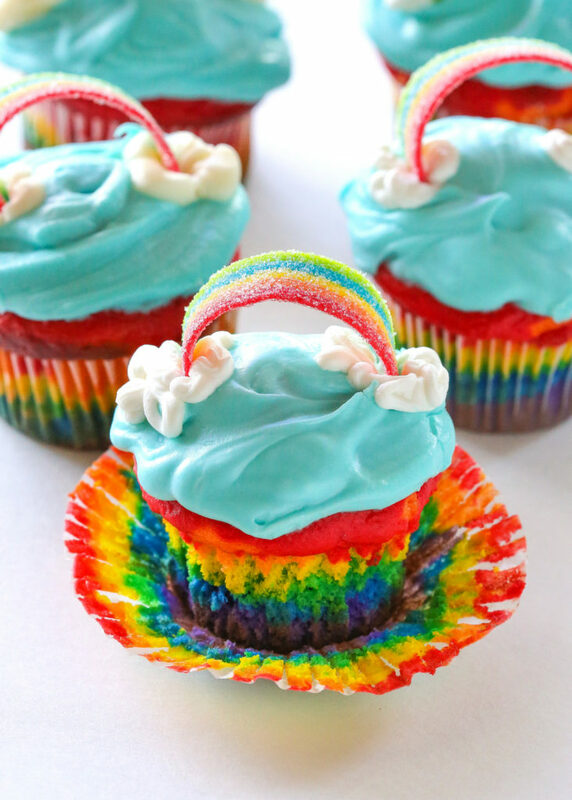 These beautiful rainbow cupcakes are bright and fun. They also look super impressive and are really easy to make! Follow this link to find out how to make them.